The carpet cleaning system used by us at MyHome Beaumaris, is a sophisticated DRY-Touch system, which leaves the carpet walk-on dry after only one hour. Infused with Healthguard, our cleaning solutions effectively remove mould, fungi and bacteria from carpets. The cleaning method used by our company restores the natural balance, bright colour and soft feel to your carpet. There are no wet carpet smells or chemical odours remaining after using our MyHome Dry-Touch cleaning system. Instead a light, fresh lemony fragrance permeates the air. No harsh chemicals, excessive moisture or heat is used by MyHome Beaumaris cleaners, so your carpet doesn’t shrink or stretch. It is standard procedure that your carpet be vacuumed thoroughly before we commence our MyHome carpet DRY-Touch Cleaning service. Residents of Beaumaris prefer carpeting on their floors because of the warm and cozy feeling they give. There is also a wide variety of colours, designs, styles and materials from which to select. In addition to keeping the house warm, carpets also contribute to the reduction in your energy bills. Your children and pets are kept warm and safe, while your choice of carpets also adds style and flair to your living space. To maintain the fresh, new look your carpet had when you first purchased it, you need to have a regular, healthy professional cleaning regime. Contracting the services of professional cleaners such as MyHome Carpet Cleaning Beaumaris, will result in your carpets keeping fresh, clean and healthy. Our company through our revolutionary DRY-Touch cleaning system, will lengthen the life of your carpets, as well as save you the expenses associated with replacement. This is definitely an excellent way to maximise your investment. The result will be great looking and fresh smelling carpets! 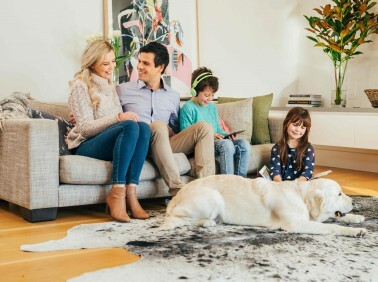 The process that MyHome uses does not involve soaking your carpets with litres of water but rather leaves your carpet freshly cleaned and ready to be walked on in only one hour. We are confident that you will be delighted with the services of MyHome Beaumaris Carpet Cleaning. We guarantee that if you are not satisfied, we will repeat the cleaning process FREE of charge! The cleaning of your carpet or rug may seem to be quite simple and straightforward, but the reality is more complicated than you might believe. 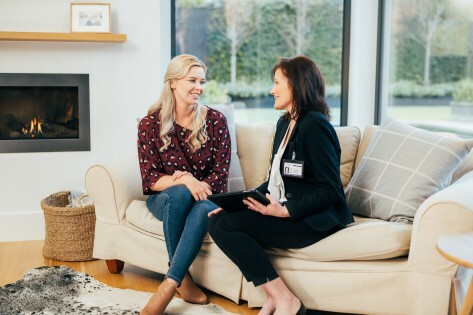 Most traditional carpet cleaning companies in Beaumaris, utilise a hot-water extraction system, which is heavily reliant on a combination of chemicals and hot water. This method can cause damage to the fabric or carpet fibres, resulting in soaking wet carpets and rugs, which smell of chemicals and other damp residues. This would definitely be a magnet for additional dirt and germs.